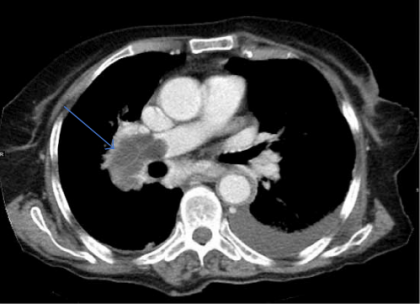 8Arwa Al mutairi at King Saud Bin Abdulaziz University for Health Sciences, Riyadh, Saudi Arabia and colleagues have reported an unusual case of Hydatid Cyst in the Pulmonary Artery. The case has been published in Case Reports in Radiology. 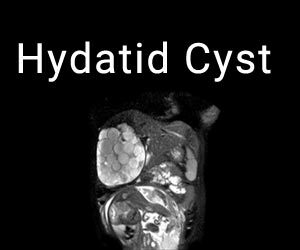 Hydatid cyst (HC) is a parasitic disease caused when the tapeworm Echinococcus goes through its metacestode stage to form larvae.It may involve many organs, especially the lung and the liver. Hydatid disease is often asymptomatic. Symptoms depend on the size and location of the cyst. Pulmonary artery location of the hydatid cyst is extremely rare, but it may cause life-threatening complications. An 86-year-old female patient with a history of hepatic hydatid cyst since 2012 presented in November 2016 with a history of productive cough, yellowish-green sputum with mild shortness of breath, and loss of appetite. She had no complaints of chest pain, fever, palpitations, nausea, or vomiting and did not report any change in bowel habits or urinary symptoms. The patient was from a rural area. She had a history of long-term antiparasitic medication; however, details about the indication for and type and course of therapy were not available in the medical records. On respiratory examination, the lungs were found to be clear with good air entry bilaterally; fine crepitation was noted. The patient was admitted for investigation. Sputum culture showed scanty growth of normal respiratory flora, and rhinovirus was detected in nasal swab culture. Chest X-ray showed a mass-like opacity in the right lower zone, in the right paracardial area. A nonhomogenous airspace opacity was observed in the left lower lung zone associated with a small left pleural effusion that indicated atelectasis or infection as a differential diagnosis. 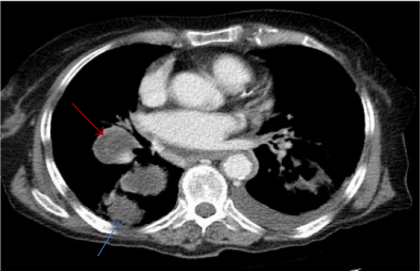 Thoracic computed tomography (CT) was performed to investigate the mass-like opacity in the right lower zone. 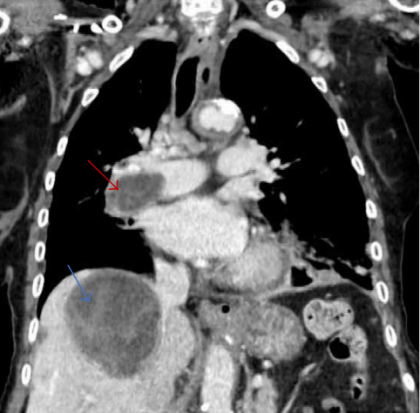 The CT showed multiple intraluminal cystic filling defects in the right main pulmonary artery and right lobar branches, mostly pulmonary artery hydatid cysts . There was one large cyst in the right lower lung lobe representing a parenchymal hydatid cyst and another large cyst existed with air in the left lower lobe representing hydatid cyst in the left lung . There was minimal bilateral pleural effusion, more on the left side. We conducted magnetic resonance imaging (MRI) of the thorax, which confirmed the presence of the cystic lesion within the right pulmonary trunk extending to the right lower lobe, showing low signal intensity on T1 and high intensity on T2 images with septation. Parenchymal hydatid cysts were noted in the bilateral lower lobes, with the presence of adjacent atelectasis and small pleural effusion on the left side . Images of the upper abdomen confirmed the large hydatid cyst in the right liver lobe. Surgical intervention was discussed with the family and they decided against it. The patient was discharged on oral albendazole 400 mg twice daily and oral praziquantel 1800 mg twice weekly. 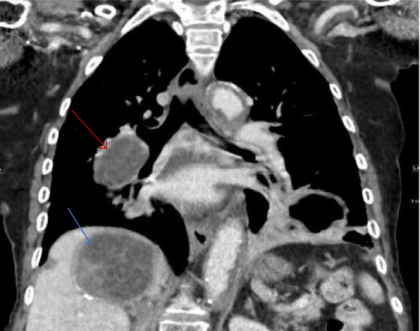 After ten months, repeat CT and MRI showed mild regression in size of both, the right main pulmonary artery and left sided parenchymal hydatid cysts. Praziquantel was stopped and presently the patient is on therapy with oral albendazole 400 mg twice daily.